Are you a 'pop' or 'soda' person? Maybe you're the type that likes both in conjunction, or perhaps not at all. 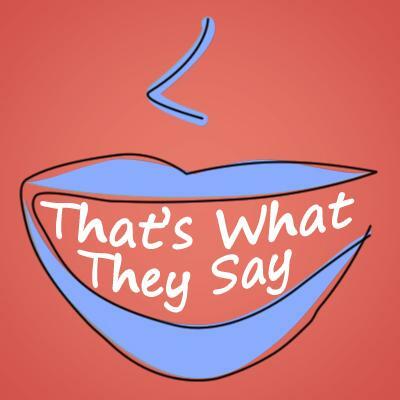 On this edition of "That's What They Say," host Rina Miller and Professor Anne Curzan talk about variations of speech based on region, called distinctive regionalisms, and how the lines between these colloquial regions aren't as blurred as you may think. Perhaps the most noticeable of these distinctive regionalisms, especially for Michiganders, regards the phrasing we use when referring to soft drinks. Here in the Midwest, a lot of people say "pop," explains Curzan. "A lot of the rest of the country says 'soda.' You're going to find that on the East Coast and on the West Coast." The map highlights regional variations in the use of the terms "Pop" and "Soda" to describe carbonated soft drinks. But distinctive regionalisms don't stop at fizzy beverages. Based on where you're from, telling time may even be different. According to Curzan, "New York, Pennsylvania, Maryland, Delaware: we're the "quarter-of" speakers. The "quarter-till" speakers: West Virginia, western Virginia, North Carolina, parts of Georgia." When dealing with big meat and veggie filled sandwiches, "much of the U.S. calls that a sub," explains Curzan. "But in New England, it's a 'grinder.' In much of New York and New Jersey, it's a 'hoagie,' or a 'hero' in Pennsylvania." Amid all these different variations, a distinctive regionalism dictionary, if one exists, might be needed. We've all been there: You come across a word in a written text and realize, to your embarrassment, that you haven't a clue how to pronounce it. On this edition of "That's What They Say," host Rina Miller and Professor Anne Curzan discuss why the pronunciations of those tricky little words cause us the most strife. What should you do when you come across one of these words? As Anne Curzan did when she encountered with the word "islet" during one of her lectures at the University of Michigan, just ask the audience. "So I get up to the word, and I think, 'Well I could just mumble it or something,' but then I think, 'Well that's not appropriate.' So then I turn to the class and I say, 'How do you all pronounce that word?' And they say, 'We don't.'" This time on "That's What They Say," host Rina Miller and University of Michigan Professor Anne Curzan discuss the colloquial "gonna" and "wanna," and how these words are not just mispronunciations of their original verbs, but are developing their own distinct meanings. "If you think about the verb 'go' as a main verb, it has directionality to it. So I could say 'I'm going to swim,' which would imply some kind of direction," explains Curzan. "But if I say 'I'm gonna swim,' that means at some point in the future, I'm gonna swim." Curzan says that this evolution of the meaning of the verbs is due to the lack of definitive future-tense construction in the English language. "Interestingly in English, some people would say that we don't have future-tense because we only have one tense marker, which is 'ed' for the past-tense. To talk about the future, we use these little auxiliary verbs like 'will,' which also used to be a main verb. Now 'go' is becoming an auxiliary verb. So this is now one of the ways we talk about the future," Curzan says. On this week's edition of "That's What They Say," we explore why the word seldom is fading from use. Host Rina Miller talks with Professor Anne Curzan of the University of Michigan. Language change is similar to fashion trends, says Curzan. And it seems the use of "almost never" is replacing the word seldom. "When you think about it, 'almost never' is not a very efficient replacement for 'seldom,' but it's what came into fashion, and 'seldom' is out of fashion and 'infrequently' had its moment of fashion," Curzan says. Analogy is another reason for language change. For example, Curzan says "oxen" will most likely change to "oxes" because other nouns take "s" and through analogy people will start to use "s" to make ox plural.